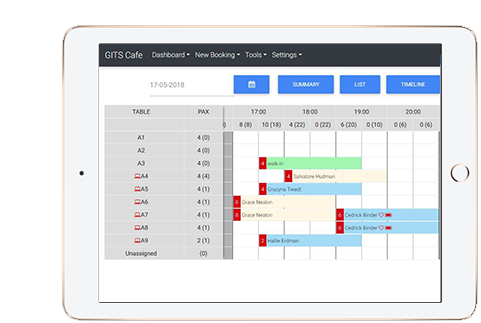 tebole offers for the guests real time booking pages with mobile version, as well as an integratable booking widget into your site. tebole shows instanlty the occupany by time in a well-arranged bargraph. You see clearly the next timeslot to book, to prevent all guest coming at the same time. Our core concepts are "user-friendly" and "simple". Any staff member can use tebole straight away without consulting a manual. 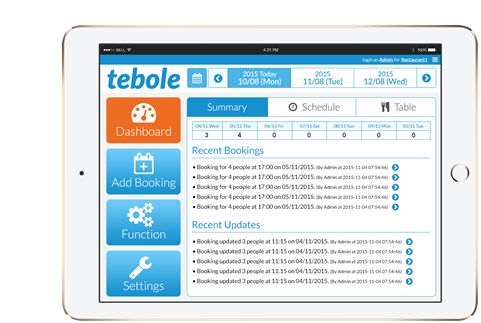 The intuitive interface means that even users with very limited PC skills can operate tebole from day one. Say goodbye to your old paper-based reservation system! 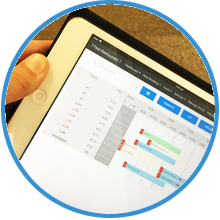 Changing your reservation system will change the way your restaurant operates. You can save a lot of time currently spent on taking reservations and table management. Customers will find it easier to make a booking, which leads to more repeat customers and loyal fans. Customers and staff alike will be smiling with tebole. 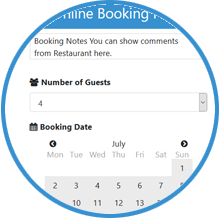 tebole can store customer information when taking reservations. Improve customer service with the knowledge of who your regular or VIP customers are. Our core concepts are "user-friendly" and "simple". Any staff member can use tebole straight away without consulting a manual. 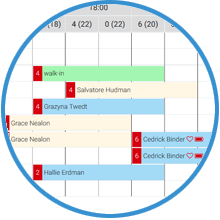 The intuitive interface means that even users with very limited PC skills can operate tebole from day one. 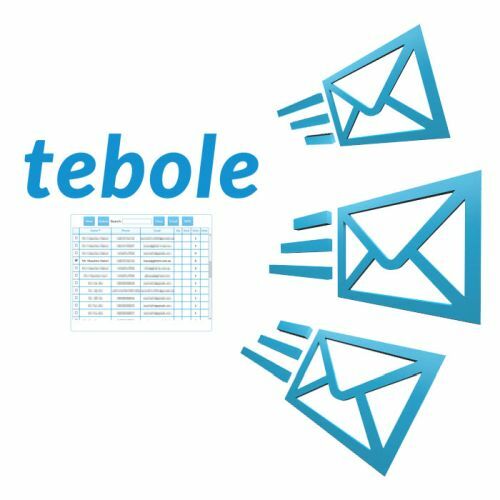 Start using tebole anytime without interrupting your current operations. 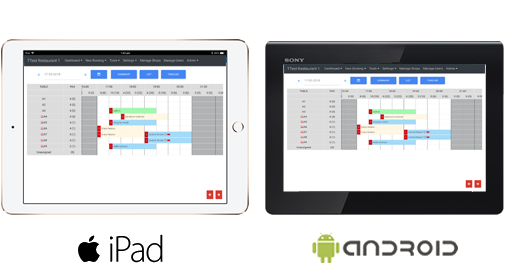 Reduce human error and eliminate unnecessary work right from day one. No device? No internet? No worries! * Include 300MB mobile internet data usage per month. 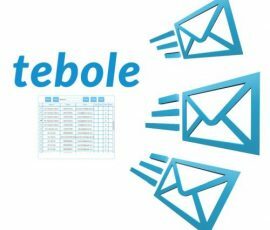 Free to use all functions for 1 month Please enter your email address and password to register for tebole. Tebole is still in its beta version and we need more feedback from customers before charging for the regular version. There are no restrictions on functions or limit on reservations you can accept with the beta version. Please send us feedback from the enquiry form if you have any comments.